Attitude and relationship issues are a part of any team. But when you have a team of musicians, those issues are multiplied. We’ve developed coaching and resources to help you overcome relational roadblocks and heart-attitude issues that are holding back your team. You absolutely can grow more unified team members who care for each other and are excited to follow your leadership. We'd love to be a part of guiding you there. What worship truly is. So many attitude issues can be resolved when team members learn it’s not about ME. The biblical heart of worship. Worship isn’t about singing on Sundays. It’s about following Jesus. How to be worshipers on the platform AND throughout the week. Learn how to deal biblically with tough team issues like conflict and authority. Discover the heart attitude issues that keep them from living out their calling. Learn what it means to be a healthy team member inside a healthy team. Learn which of the seven critical commitment areas they’re failing to engage in. Discover what, besides music or tech skills, is required for them to be engaged team members. Grow in their commitment to the team, without sacrificing their family or emotional health. For the cost of taking three to four team members to a big worship conference, you can create a customized training event at your church. Your team will get focused, hands-on training to accelerate their growth far beyond what even the best conference could deliver. Need a Team Development Process? The Biblical role of lead worshipers. It's not just about making music. How to serve with the right heart. To be expressive and engaging as they lead. 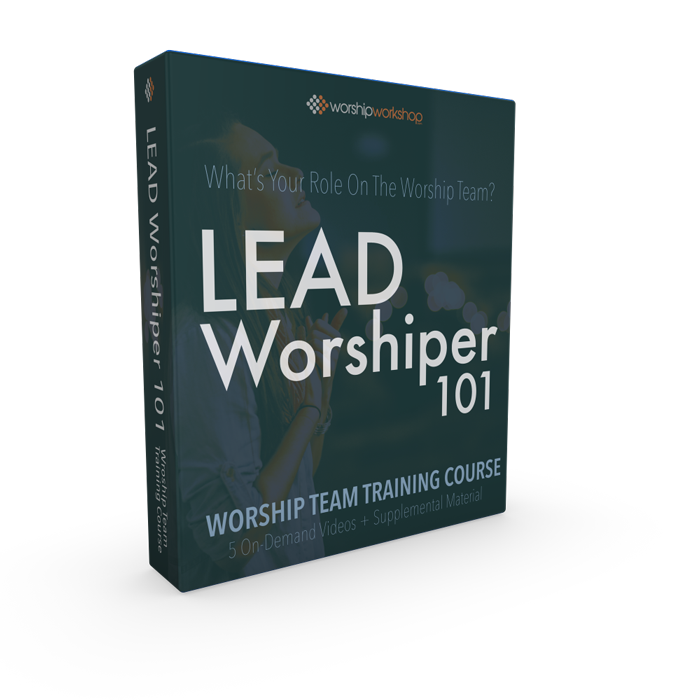 Click the button below to learn more about Lead Worshiper 101. On-demand classes & a training process that fits you and your team's busy schedules. Leadership development and mentoring will become a natural part of your ministry. A ready-made resource for you to develop your team members into team leaders, mentors and role models. 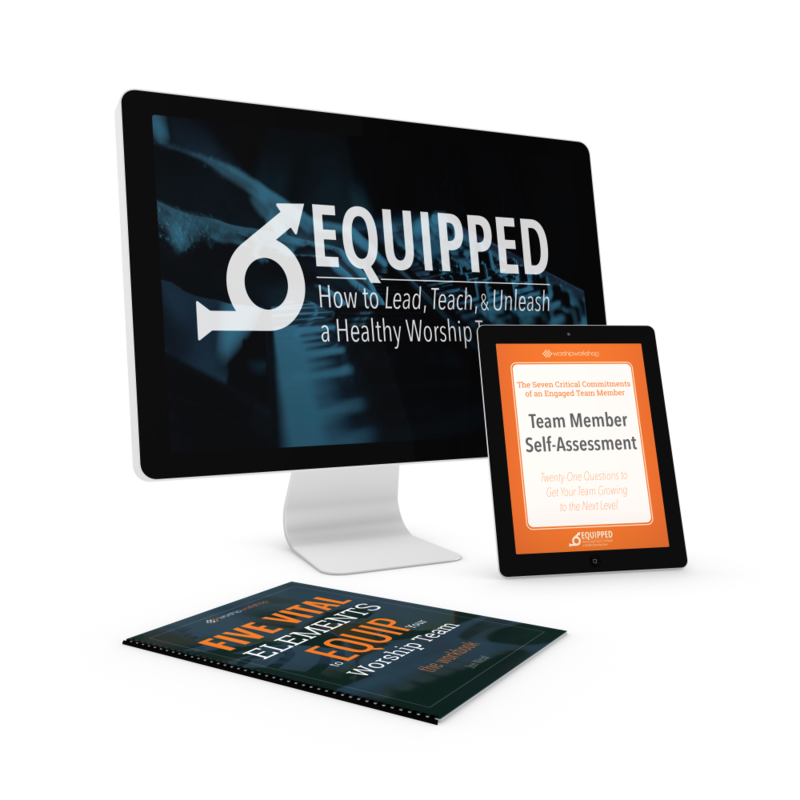 You'll have proven process to equip every team member—consistently and intentionally.